Sweet Chestnut, Oak and Arbutus. 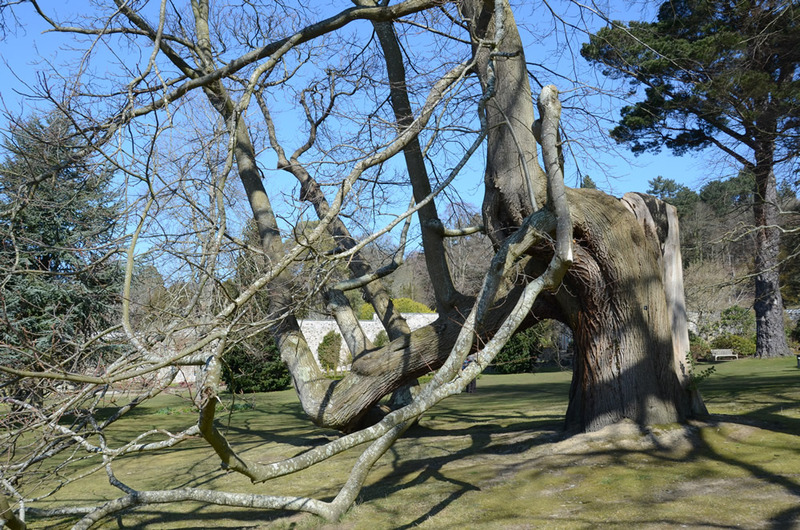 I was senior arborist at Bodnant in the late 80’s early 90’s, and had the privilege of working on most of the Magnificent trees including the sweet chestnut in the photograph. I had the task of section felling the Abies grandis in the Dell because unfortunately it was in decline and there were concerns that if it was left it would fail and damage the surrounding trees and shrubs, it was reportedly the tallest tree in England and Wales at the time 187feet.